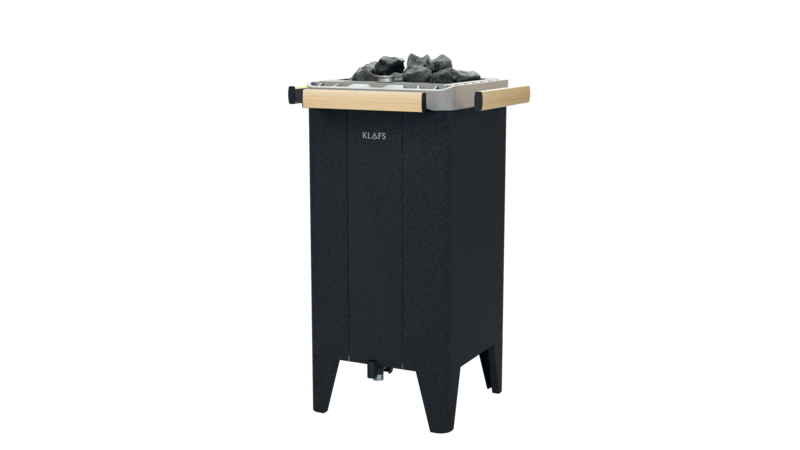 With its elegant design based on the MAJUS sauna heater, it blends harmoniously into many of our sauna series. On request the FERO sauna heater is available with SANARIUM® function and in two heater sizes with flocked sides to protect against combustion, a stone basket in cast aluminium frame and a rail. An attractive, compact and flexible sauna heater that leaves nothing to be desired. What do our sauna heaters all have in common? High quality, safety and durability. Thanks to well controlled air flow and thus low air outlet temperatures, they create a perfect feel-good climate. Does the FERO sauna heater fit into my desired sauna? 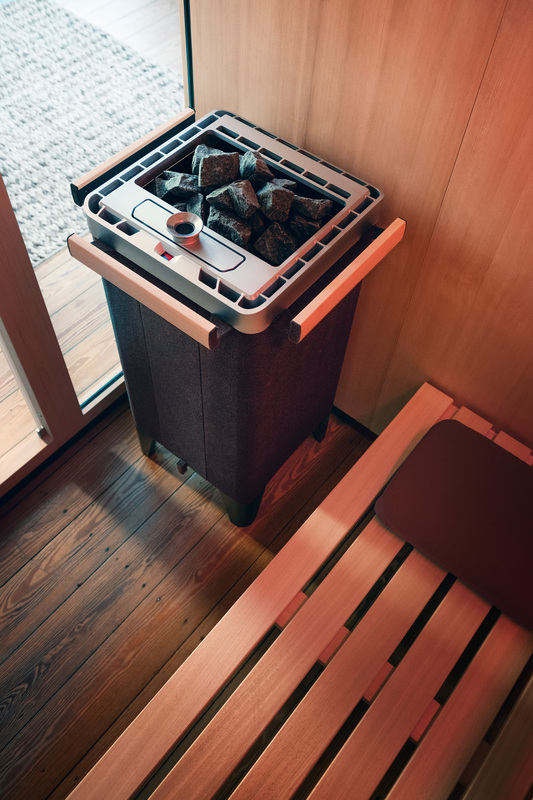 The sauna heater is supposed to do one thing above all else: Warm up the sauna optimally and ensure the perfect sauna climate. Therefore, it is necessary that the selected heater fits the cabin size. 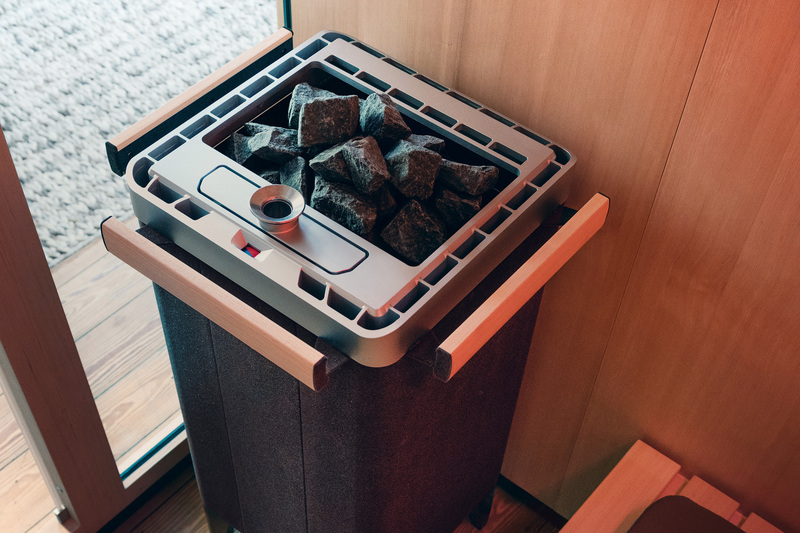 The VDE-tested FERO free-standing sauna heater is available in two sizes with corresponding dimensions, heating capacities and stone quantities. 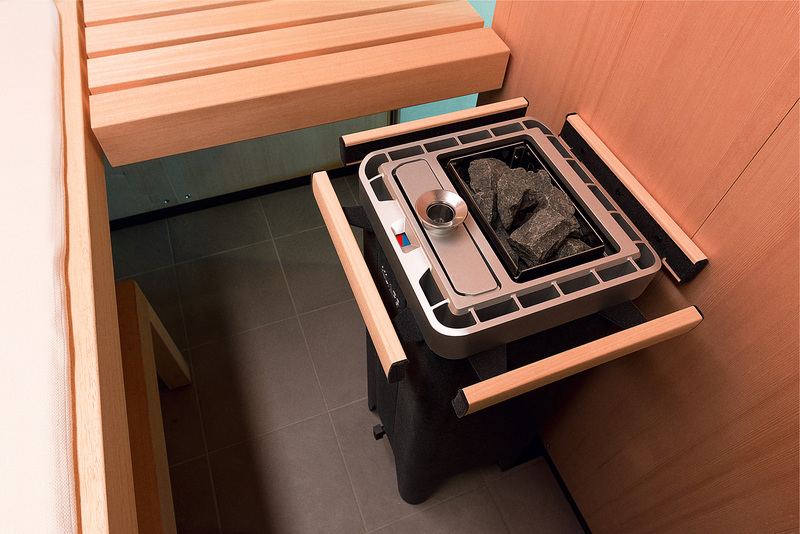 This makes the FERO suitable for very small sauna cabins as well as for larger models. The dimensions of the smallest variant are 820 x 300 x 300 mm (H x W x D). The heater is available in this size with a heating capacity of 3.3 kW/230 V and approx. 7 kg of infusion stones, or with a heating capacity of 4.5 kW/400 V and approx. 14 kg of infusion stones. The large version with dimensions 820 x 400 x 400 mm (H x W x D) is available with heating capacities of 6, 9 and 12 kW/400 V and approx. 40 kg of original Finnish olivine stones. You can get inspiration for different sauna heater from our sauna heater overview.